"The only way to get rid of my fears is to make films about them." When what I perceive as reality becomes a three ring circus I retreat to the inner sanctum of my being and great stories that remind me of the illusion of it all. I've decided not to engage in the current political theater and find a tremendous amount of peace by hanging with my tribe of like minded individuals, made up of a select group of artists and visionaries. I don't believe what I hear in the media and after writing two entire lessons devoted to alchemy for my class on botanical perfume, I've learned how easy humans can be controlled by fear. No thanks, next! Along those lines, I finally have started watching more Hitchcock films. I know, it's ridiculous, but there you have it. Alfred Hitchcock was born in on August 13, 1899 in London, England. He was extremely prolific and pioneered many styles of direction that have become a standard in visual storytelling. In 1939 he moved to Hollywood, after having worked as a graphic designer and writer for The Henley Telegraph followed by designing titles for silent films and eventually combining his skills to make films. His first critical acclaim arrived in 1927 with the film The Lodger: A Story of the London Fog, which incorporated expressionistic techniques he had learned in Germany. Vertigo came out in 1958 and is considered by many one of the best films ever made. The main character Scottie, a newly retired investigator is played by James Stewart opposite the beautiful Kim Novak. If you have not seen the film I recommend watching it without reading much and then re-watching it once you have read some of the literature about the film. 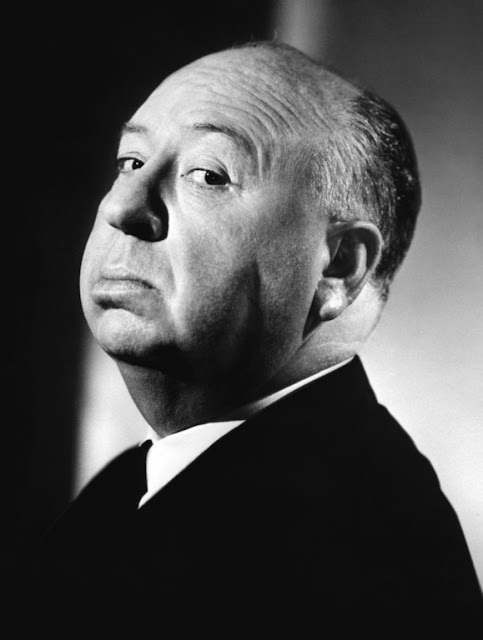 The techniques Hitchcock used throughout the film are quite compelling, particularly when you then realize how he leads you through the scenes with expert direction. I've chosen not to add the trailer here so that, if you haven't seen it, you can have the experience I did. 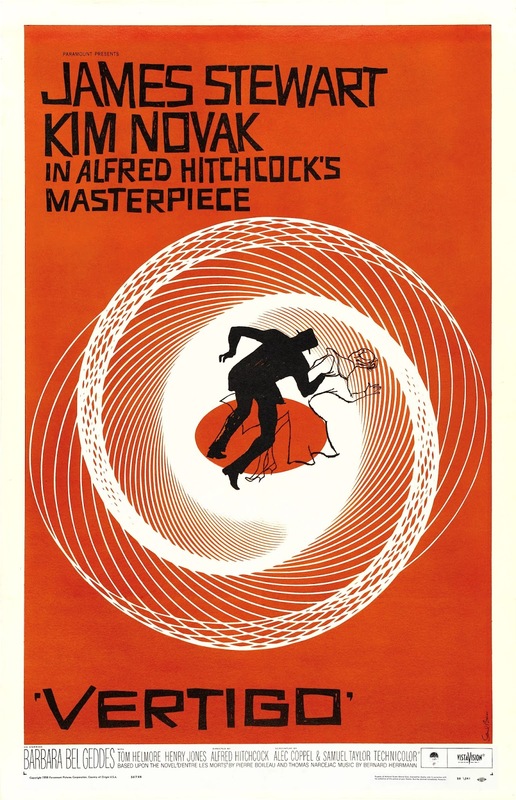 For those of you with an interest in design, you'll love the opening sequence with graphics designed by Saul Bass, you can see it here: http://www.artofthetitle.com/title/vertigo/ The costumes were done by the infamous Edith Head. After watching the film head on over to this site for a good read and then watch it again. 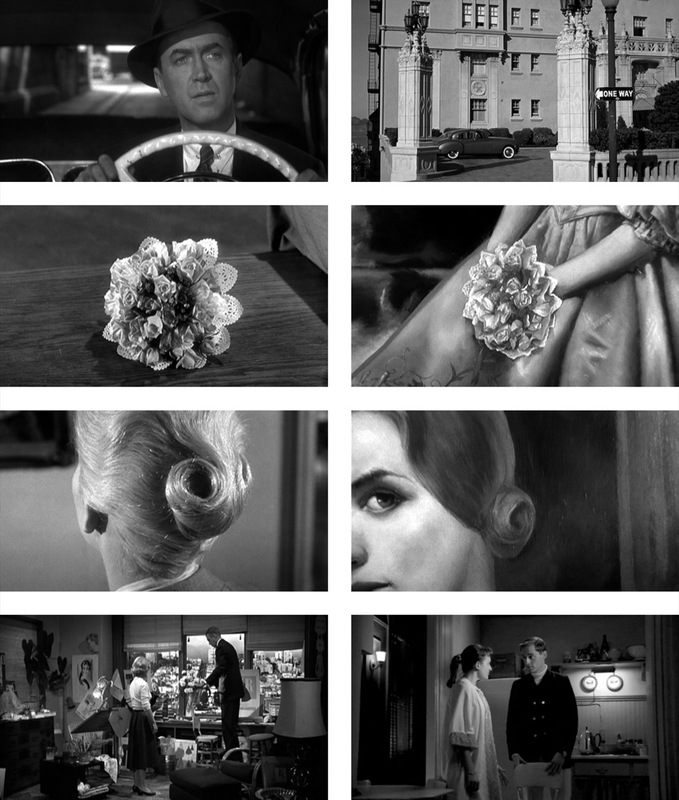 You'll also start to notice how many modern films use many of the styles Hitchcock evolved.